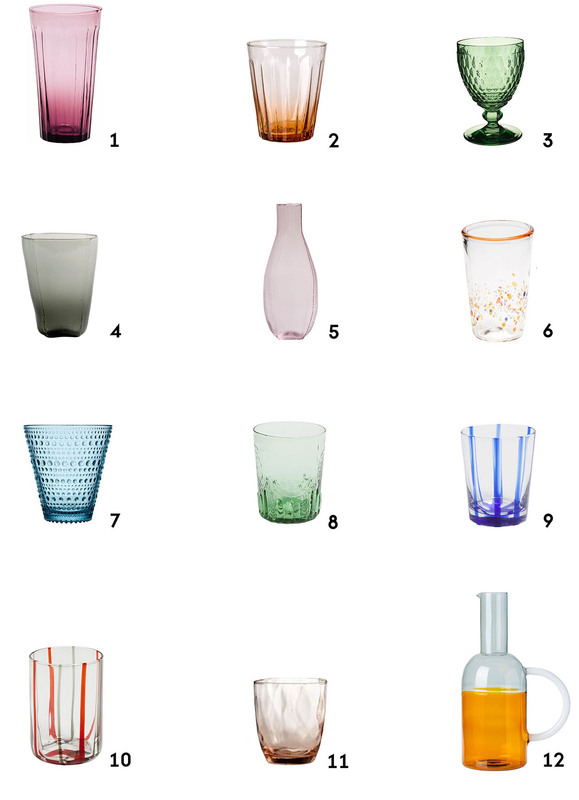 Recently I have been moving towards colored glassware for my table. 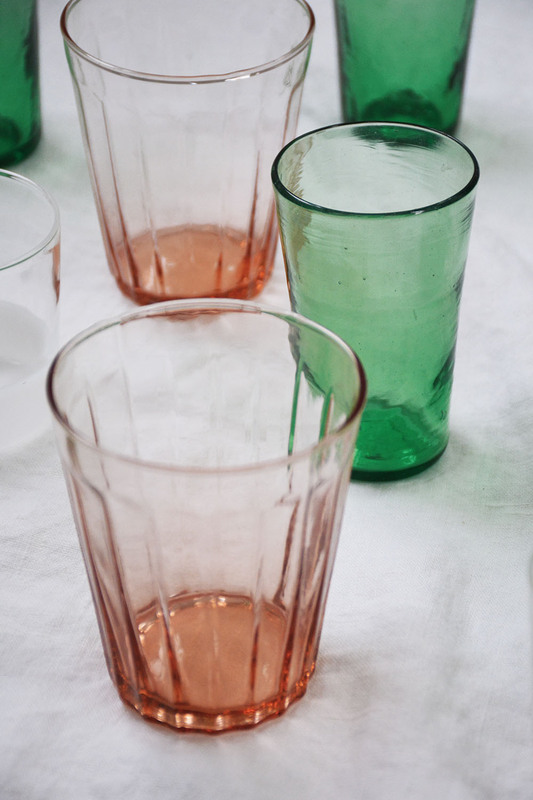 I loved the mis-matched, vintage feel that comes with using this type of glassware and I also like the idea of adding some beautiful colored tones to an otherwise all neutral table setting. Here are a few of my recent purchases. 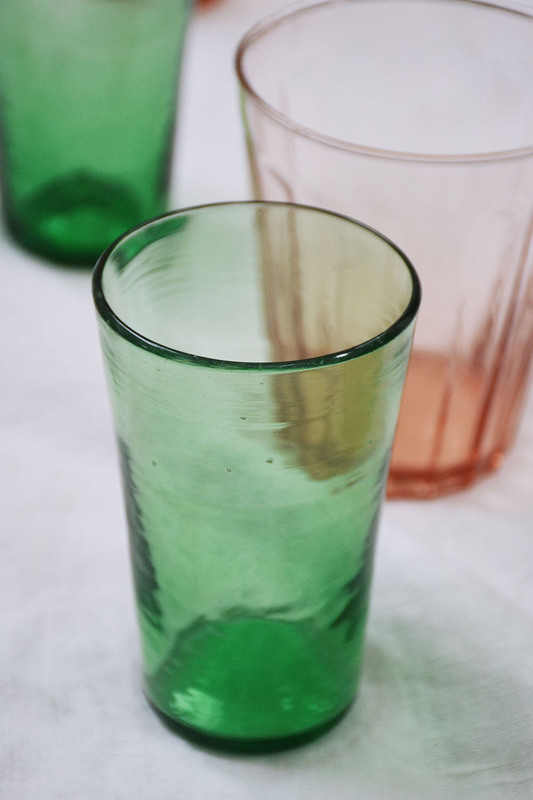 I am especially loving these amber tumblers that I picked up at Conran Shop, while the green glasses were a vintage find. 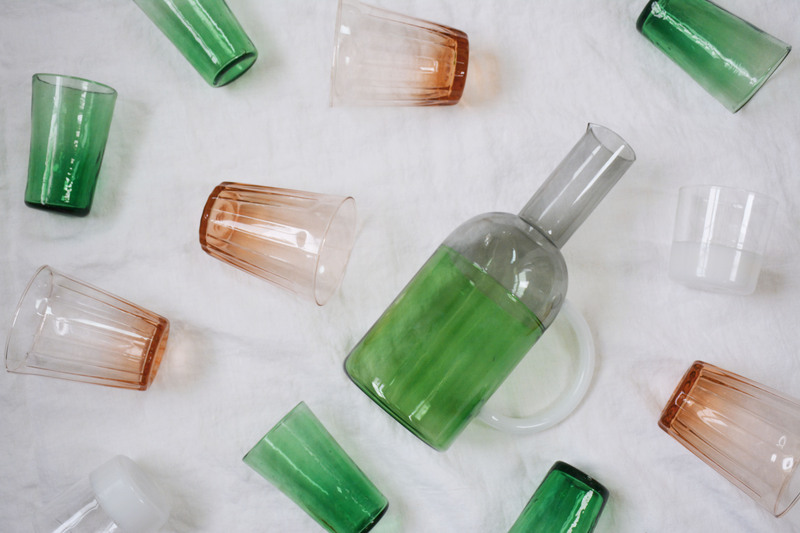 (Tip: don’t worry about the glasses being different shapes and sizes. It adds to the overall look and feel of the table and really gives it a unique style! ).